Ashley Clark: The Secrets of the Ancient Temple is rated 2.9 out of 5 by 19. Rated 5 out of 5 by skullfun from Ashley Clark 2: A Sensational Sequel Murder Mystery! I really enjoyed this follow up to Ashley Clark Secret of the Ruby. Join Ashley again in The Secrets of the Ancient Temple and solve an unusual murder! 6 months ago a veterinarian was found dead in a zoo. The place has been almost completely abandoned since but now there’s another unusual death. One of the security guards. What’s happening in this zoo and who or what is responsible? •Step in the shoes detective Ashely Clark and solve a curious creepy case. 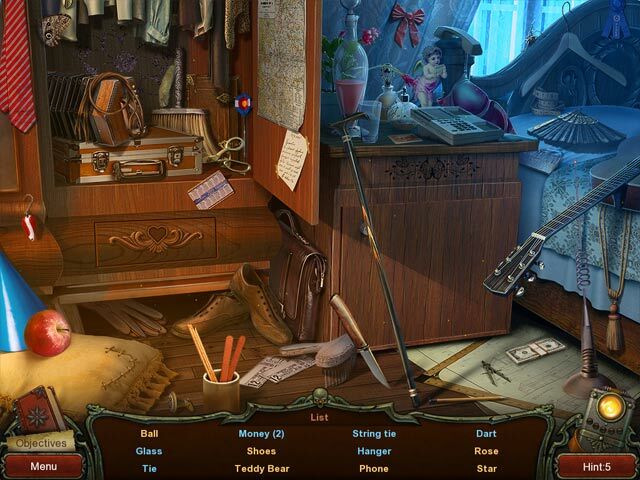 •Explore lots of exciting hidden object scenes and complete many challenges. •Crack clever puzzles and finish other amazing mini-games during your investigation. •Enjoy a captivating plot with unexpected twists and mysteries. This edition of Ashely Clark is just as good as the first, some may say even a bit better. I thoroughly enjoyed the entire adventure and I hope developers will continue with this series. Thanks Big Fish for this excellent Standard Edition HOPA!!! Rated 5 out of 5 by pennmom36 from There's Something Strange Going On At The Zoo! Ashley Clark is a detective sent to investigate the death of a security guard at the zoo. (in high heels no less) The security guard isn't the first person to die here, in fact, the zoo has been closed and most of the animals have been transferred to other zoos because nobody wants to be anywhere near this creepy zoo! What Ashley discovers hidden beneath the zoo could explain everything, but can she escape? Can evil be stopped? I love the computer generated graphics, and the whole vibe of the closed zoo. There are are ton of Hidden Object Scenes and even more puzzles to solve, but this game has an unusual plot and plenty of inventory items to find. My only complaint would be the fact that you have to do a lot of back and forthing, and to access the map, you have to click on your journal and then the map tab which can get annoying when you are constantly having to change locations. There are Hidden Batteries throughout the game that you can collect for extra hints but they are super easy to find because they are so large, and the cursor changes to a hand. The Hidden Object Scenes are repeated twice in each location. The first time the HOP is a very interactive list find, the next time you return, it will be a silhouetted shape find. The scenes tend to be dark and a bit grainy, but items are still recognizable. The Mini Games range from super simple to medium difficulty, but they can be skipped if you prefer. The following is a list of some of the Mini Games, as brief descriptions, that you will encounter during the demo: 1) Rotate knobs on a microscope to create an image. 2) Play a card game in two moves scoring more points than opponent. 3) Pick a lock using two lockpicks. 4) Connect Pipes to complete a circuit. 5) Find the right combination using clues shown. 6) Play a Match 3 game. 7) Repeat a series of numbers demonstrated. 8) Swap images so no two identical images are in the same row or column. There aren't a lot of frills in this game, but the graphics are really good and the story is fresh, you really should give this game a try, enjoy! Rated 5 out of 5 by biscuitsmama from ANOTHER GREAT ASHLEY CLARK MYSTERY You have been called in to investigate the death of a security guard at a zoo. Apparently this is not the first time something like this has happened as the zoo veterinarian was found frightened to death several months previously. It isn’t too long before the zoo administrator is also whisked away right before your eyes. Now you are embroiled in a case to save Jim and solve the recent murders. Are you up to the task? There are four modes of difficulty Easy, Normal, Hard, and Nightmare. Even though there is no custom mode, if you select the easy mode the hints seem to recharge almost immediately. There are minimal instructions for the game so in many cases we are on our own to figure out some of the puzzles. There are lip-synced voiceovers that are fairly good. For the most part the graphics are good but they lack some of the polish and pizzazz that we expect from some of the major devs. We have a notebook or a journal and that is something I love in a game. Sadly, the journal seems to be missing in more recent games. There is also an interactive transporter type map that can be found by clicking on the icon that is located right next to your hint icon. The HOPs are mostly list or silhouette type and we do visit the scenes more than once. In the list type HOPs there is quite a bit of interaction required to find many items, while in the silhouette types no interaction is required. The puzzles have minimal instructions so in some instances we must figure out what to do without any additional help. 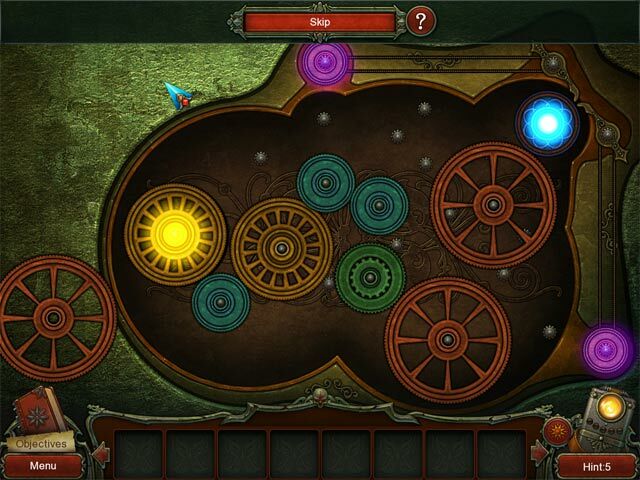 If you play a lot of HOPA games, you won’t need the instructions since the puzzles are nothing new. Secrets of the Ancient Temple is the second game in the Ashley Clark series and I remember thoroughly enjoying the first game. The storyline is interesting although making progress in the game seemed a bit slow at first. There was a lot of running around from one place to another in order to find what I needed to rescue the zoo administrator in the beginning of the game, and I kept thinking that poor Jim would be a goner before I ever managed to find him – lol. All in all the game is definitely one I want to add to my game collection. Because I love the gameplay and the puzzles, I am giving the game a high rating even though it lacks some of the polish of the games from our top devs. As always, please try the demo to see if this is a game you will enjoy. Rated 4 out of 5 by Birkies from Lost 'em all. "...into the mysterious world." Well that is Not an understatement! TONS of back and forth!! Abrupt and confusing ending. I skipped so many puzzles not understanding just what they wanted or not willing to spend the time to get there. You find a 'hint' in each new screen, Even though it may take several hints to get to your next task, You only use one hint to get there. You start with twenty some. I ended with 10 left. You may find objects that you cannot pickup, you'll be able to later, so remember where they are. Took about 6-7 hours but that was with some interruptions and skipping many puzzles. Knowing what I know now, would I have bought it? Probably, but I bought it cheap! Rated 4 out of 5 by Novella2 from Life is a Zoo This is based on approx. 10 mins. of demo. There are 4 modes of play: easy, normal, hard or expert (don't remember), and nightmare. The story revolves around murders at the town zoo, which is to be closed. There are voices, but you see captions, not moving lips. When you find objects, you get additional hints. It's not a great game, but a good time-passer. I used a free game code. It won't hurt to give it a try. Rated 3 out of 5 by Kirland from Could Have Been Great I really liked the story-line. It was interesting and held my interest. I am a fan of lots of puzzles. However, the non-existent instructions or clues on how to solve some of the puzzles had me seeing red. I skipped so many only because I was getting upset and just wanted it to end. Too bad because it was a great story. 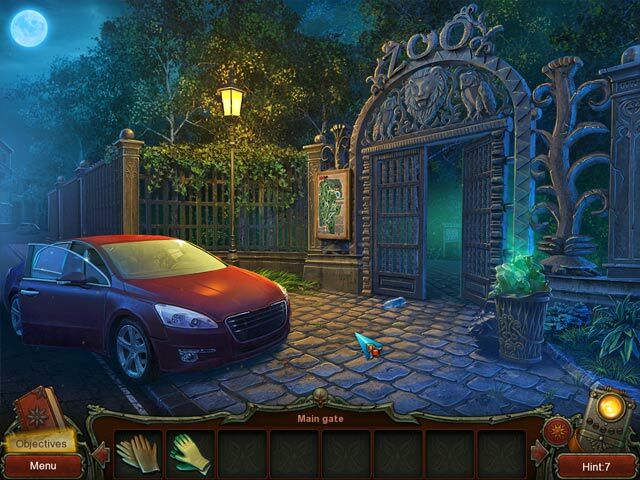 The puzzles and hidden object scenes were awesome except for the fact on some you had no idea what to do. What were the developers thinking? Based on the lack of instructions, I would have given this game one star but I really did like the story and most of the puzzles where easy enough to figure out. Sorry, I wasted a free credit on this one but happy that I did not spend actual cash. Rated 3 out of 5 by Granny_Gruff from Quick, Jim's Kidnapped by a Giant Spider - Let's Play Cards! Ashley has been called in to investigate the death of a security guard in the local zoo. Don't worry about the police; they have apparently not been called. And don't worry about the body left lying where the guard fell; there's no blood and you hardly notice it as you pass it repeatedly. You start by talking to the director, Jim. Moments later he is taken in to the gorilla cage by what you describe as a giant spider. You run back toward the main gate. You stop to speak to the only other guard. He needs to play cards. Tough luck, Jim. After another dozen or so trips between gate and the food storage room, you make it into the gorilla cage, where there is no sign of Jim or the spider. Just keep looking. Good stuff: The story is somewhat different, interactive map, artwork, HOPs that are interactive the first time and silhouette the second time you visit, mini-games with occasionally adequate instructions, and batteries you collect in each scene to get more hints. Bad stuff:The VOs are without emotion, the characters flat, the game moves slowly and everything is a lot of work. I just wasn't having fun. I wish the game was better as the story had potential. Sigh! Please try for yourself as you may find more here than I did. The case of an unusual death in a zoo leads detective Ashley Clark into the mysterious world.